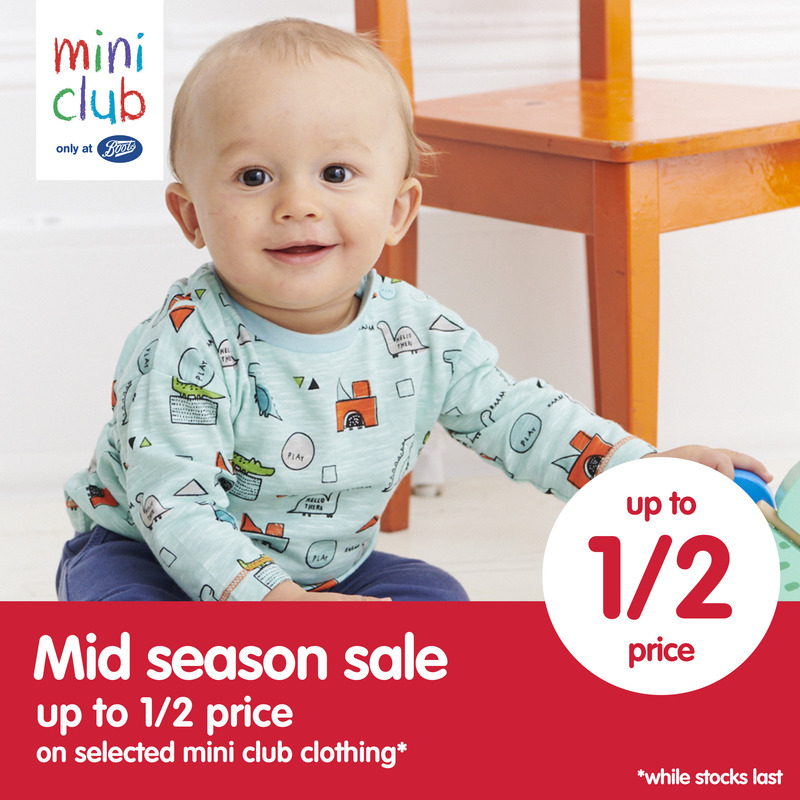 Step into Spring and check out the sale on kids clothes at Boots Mini Club – but be quick once they’re gone they’re gone! Mini Club is an exciting contemporary clothing brand available exclusively in larger Boots stores. Mini Club is a stylish collection of high quality clothing for babies and children from 0 to 6 years and is both comfortable and affordable; designed for all occasions focussing on the life stages and age of the children, keeping at the forefront the idea of letting kids be kids!